Tallow is one of the most respected and instantly recognizable item in the ingredient list of many top shaving soaps. But tallow based soaps aren’t special… here’s why. Traditionally, tallow is fat derived from beef. The beef fat is rendered using heat, and the tallow is separated and allowed to cool. These days, tallow is not always 100% beef fat. It often contains other animal fats, and even plant-derived fats. Far from tainting the tallow with inferior oils, this just shows that tallow isn’t magical. Like all fats, tallow is a blend of different fatty acids. If you saponified fats with an overall equivalent profile, you would still end up with a blend of fats that is functionally the same as tallow. That’s why it doesn’t matter too much if tallow is pure or not. Here’s another fact that will help you understand tallow’s place in shaving soap. Tallow is used in some of the most consistently recommended products like Mitchell’s Wool Fat and Tabac. 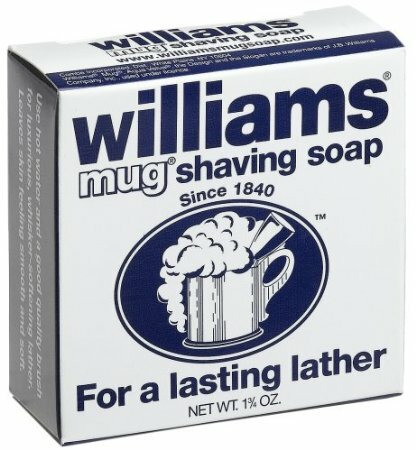 It’s also used in the sub-$4 wonder, Williams Mug Soap. Now think of all the amazing shaving soaps that don’t list tallow as an ingredient. For example, Catie’s Bubbles soaps just use stearic acid and coconut oil. My point here is that tallow can be found in many wonderful shaving soaps, but many more do fine without it. It’s not a premium ingredient. That’s why I mention the humble Williams Mug Soap. Some people in the wetshaving community use tallow as a proxy for quality, but it’s not. It’s just another fat that has little bearing on performance by itself. To consider tallow based shaving soaps as fundamentally better is an oversimplification. Tallow has a role to play. But it’s a role that can be filled by other ingredients, too. So tallow isn’t a source of arcane bovine energy. But should you still use it in your shaving soap recipe? Where’s your arcane energy now? If you’re planning on selling your shaving soap, I wouldn’t worry too much about this. Some customers will be attracted to tallow based soaps. Others will be turned off by them. For each vegan you chase away, you might attract a fan of tallow based shaving soaps. Just do what you like most. At least that way, you’re being genuine. If you want to create soap without animal products, you’ll obviously want to avoid tallow. But if you choose to follow in the footsteps of traditional shaving soap artisans, the next step is finding (or making) tallow. Make friends with your local butcher. They should let you take some scraps of fat off their hands. They’re just going to throw it out anyway, so why not? Few people want to spend their weekend rendering hunks of cow flab. But remember that tallow can be stored at room temperature in an airtight container. So, if you do a big batch, you can forget about preparing more tallow for quite a while. That’s the free/cheap but somewhat time-consuming way. If that doesn’t appeal to you, you can just buy it. The best way is probably locally (just google your city + tallow). You can also buy it online. Personally, I think home rendering is fine. 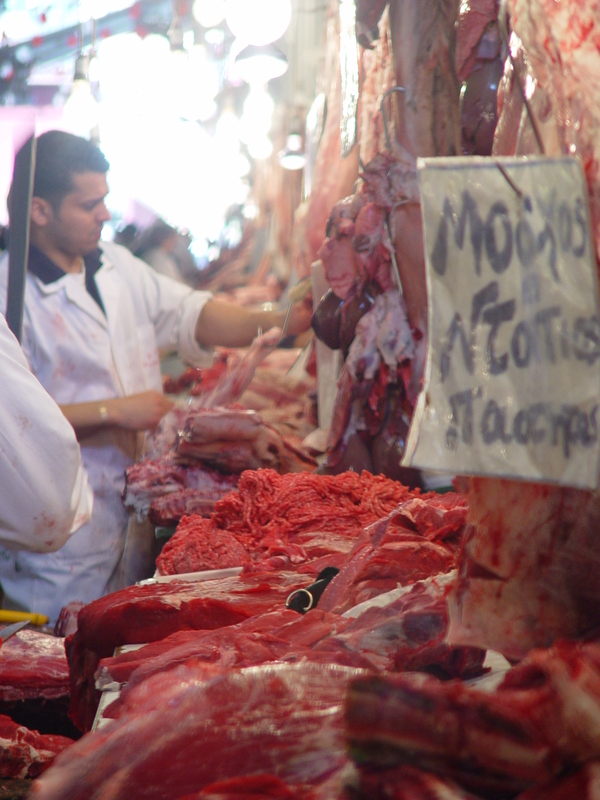 It doesn’t take long to go to a local butcher and cook it down at home. Probably the best substitute for tallow is palm oil. Palm oil has a similar fatty acid profile, but it can be hard to source locally. A lot of grocery stores carry palm oil, so check there first. If you can’t track any down, you can get palm oil on Amazon as well. This can be the main disadvantage to using palm oil – waiting for it to arrive in the mail. But if you want to avoid animal products, whether for practical or ethical reasons, palm oil is the recommended substitute. Keep in mind that palm oil also has some ethical problems. Approximately 88% of palm oil is not from sustainable sources. This is leading to deforestation and habitat destruction for animals such as the orangutan. You can find sustainable palm oil, but it is a little more expensive. Some environmental advocates think that the Certified Sustainable Palm Oil (CSPO) certification still doesn’t go far enough in reducing environmental impact. Something to keep in mind if you’re avoiding tallow for moral reasons. You can read more about the environmental and social impacts of unsustainable palm oil here. Kind of a downer to end on, right? I’m a big fan of tallow myself. The fatty acid profile is very nice for a shaving soap if you add some more stearic acid and coconut oil. Once again, good article. What about pig lard? Can it be used instead of beef tallow? Many vegans are as against palm products as they are animal products, since most palm isn’t sustainable, and the palm industry is responsible for so much animal and habitat destruction. You can go with soy wax instead, but then you’re turning off the peeps that don’t want genetically modified products. Moral of the story? Make soap that makes you happy.